Thousands of white fairy lights draped over the Georgian buildings pick out the windows and roof lines, turning the town into a winter wonderland. If you are able to make the switching on ceremony then you will be able to enjoy street entertainment, food, and late-night opening of the shops. 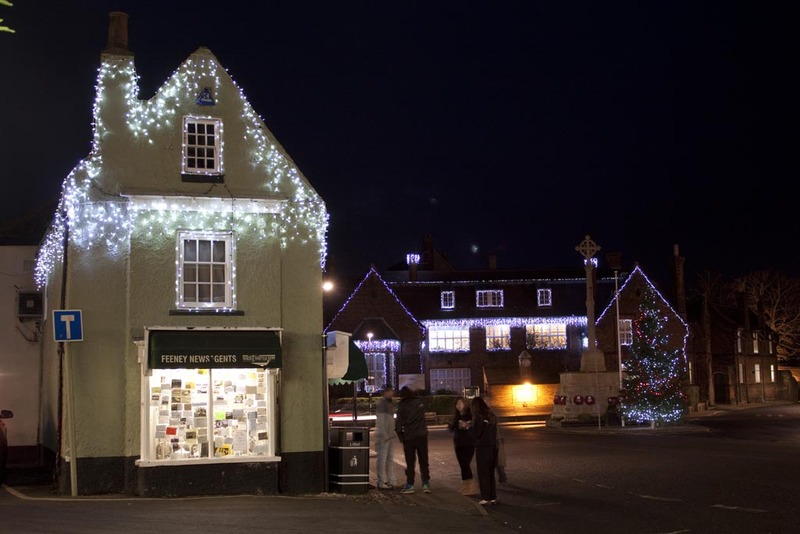 But even if you miss the first night, make sure that you pop into Holt as it’s going dark, and take in the lights. This entry was posted in In The Area, Uncategorized on December 16, 2011 by Dave.